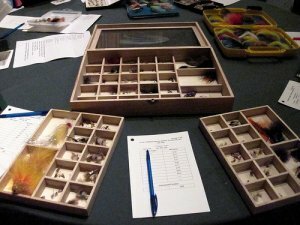 Come Join us at the Multnomah Athletic Club for the annual Flyfisher Foundation auction and Keith Hansen Memorial Paddle Raise. Always a good time and some great items will be auctioned off including hosted trips, fly fishing gear, some nice wine, and other stuff you can’t live without. Click Here to go to the Greater Giving website and purchase tickets. Registration Deadline is May 1st. SNEEK PEEK at the 2019 AUCTION ITEMS! Here is a list of our current items, places and events available at the May 7th Auction. 2 Board Member-Built Giant Baskets, Filled with Wine, Spirits, Foods, Gift Certificates and much More! Note: Items may change or be added; final list will be posted closer to Auction date, May 7th.